Chantelle Schieven, research head at Murenbeeld & Co., shares her thoughts on where the gold market is headed in this PDAC interview. The Investing News Network (INN) sat down with Chantelle Schieven, research head at Murenbeeld & Co., at this year’s Prospectors & Developers Association of Canada (PDAC) convention. 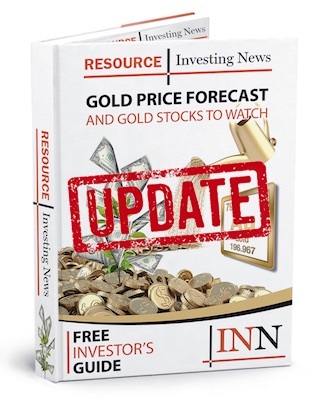 Schieven told INN what she believes is the main catalyst behind why gold has begun to rebound, why she is “mildly bullish on gold” and where she sees the precious metal‘s price heading for the rest of 2019. “This year we think the US dollar is going to start its long-term downtrend,” she said. “A promise of President Trump’s [campaign] was, ‘we’re going to devalue the dollar, devalue the dollar’ because that’s the way you start to actually get things back in balance. So, that’s really where we think the catalyst [for current gold prices] is,” she added. Circling back to the notion that the US dollar needs to become further devalued in order for gold to flourish, Schieven said that it will start to decrease this year but there won’t be any “dramatic” pressure placed on the greenback during 2019. Watch the interview above for more from Schieven. You can also click here to view our full PDAC 2019 interview playlist on YouTube.